The best tax reform would be ... nothing. Granted, there’s virtually no chance the two sides will agree to comprehensive tax reform before the November election. But afterward, it seems quite possible that both parties will set aside their differences and reach a compromise. So why do I hope they don’t? The beau ideal both sides have in mind is the 1986 tax reform bill crafted by Democratic Representative Dan Rostenkowski and Republican Senator Bob Packwood, which was signed into law by Ronald Reagan. Neither Rosty nor Packwood had a reputation as a reformer—TNR mocked Packwood as “Senator Hackwood”—and both legislators would eventually leave Congress tainted by scandal. Reagan, reportedly, had only the shakiest understanding of what the bill would do. Yet these three flawed politicians managed to shepherd a good-government bill through a maze of lobbyists and ideologues, achieving, briefly, a rare state of wonky grace. Tax rates. If you want to swap lower tax rates for fewer tax loopholes, you should come to the table with high tax rates. In 1986, the top marginal rate was 50 percent. 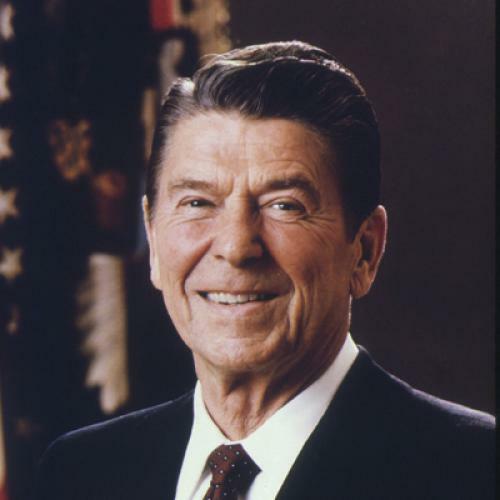 That wasn’t high by historic standards: For a decade and a half prior to Reagan’s 1980 victory, the top marginal rate never fell below 70 percent, and, during the 1950s and early ’60s, the top marginal rate exceeded 90 percent. By current standards, though, a top marginal rate of 50 percent is pretty high. The 1986 tax reform dropped it to 28 percent, and, since then, it has bounced between 30 and 40 percent. The current top marginal rate of 35 percent will, if no legislative action is taken, rise next year to 39.6 percent when George W. Bush’s tax cuts expire. To anyone who favors progressive taxation, bargaining down from 50 percent is much easier to stomach than bargaining down from 39.6 percent. And that’s assuming the Republicans will consent to 39.6 percent as their starting point. They’ll push hard to bargain down from the current level of 35 percent. Baseline wars over whether to negotiate from 39.6 or 35 percent helped scuttle the supercommittee negotiations in November. In 1986, the starting point of 50 percent was never up for debate. Tax complexity. Reducing the number of tax brackets follows a logic similar to that of lowering tax rates: It helps if you start out with a lot. In 1986, there were 15 different tax brackets for families and 16 for single people. Again, this was not high by historic standards: For most of the 1970s, the number of brackets never fell below 25. The 1986 tax reform swapped 15 or 16 tax brackets for two. Since then, that number has increased—but only to six. Six brackets isn’t an ideal number, but not because it’s too many. It’s too few. Right now the top bracket (35 percent) kicks in for families at about $388,000. Obama wants to lower that threshold to $250,000. Everyone making this much money resides in the upper ranks of the top 5 percent. If your income exceeds a quarter of a million dollars, you are, by any sensible reckoning, rich, and you ought to pay more in taxes. But there’s rich and then there’s rich. The higher you go up the income scale, the economists Emmanuel Saez and Thomas Piketty have found, the faster you’ll find rich people’s share of the nation’s income growing. The top 1 percent (everyone today making more than about $352,000) have doubled their income share since 1979; the top 0.1 percent (everyone today making more than about $1.5 million) have tripled their share; and the top 0.01 percent (everyone today making more than about $7.9 million) have more than tripled their share. Clearly these latter two groups merit brackets of their own. As James Surowiecki put it in a 2010 New Yorker column, the current system taxes LeBron James, who is super-rich, at the same rate as his dentist, who is merely rich. The deficit. The 1986 tax bill was designed deliberately to be revenue-neutral—not because the budget was balanced (the deficit that year was $221 billion, which in those days was considered a lot), but because there wasn’t much chance of getting bipartisan agreement otherwise. In 2012, the deficit exceeds $1 trillion. We don’t need tax reform; we need a tax increase. One seldom-acknowledged reason for the 1986 tax reform’s long-term “success” was that its revenue-neutral bargain was shredded a mere four years later when President George H.W. Bush agreed to increase the number of brackets from two to three and to raise the top rate to 31 percent. President Bill Clinton shredded tax reform a second time in 1993, increasing three brackets to five and raising the top rate to 39.6 percent. It was these tax increases that made it possible for Clinton eventually to balance the budget (before President George W. Bush unbalanced it again). The sword of Damocles. President Obama has something in 2012 that Rosty would have killed for in 1986: an automatic tax increase should no agreement be reached. It isn’t clear how much Obama will use this as leverage, because he doesn’t want to cancel all the Bush tax cuts, just those for the wealthiest families. But why not let all the Bush tax cuts lapse, if deficit reduction is the true goal? At the very least, Obama ought to convince his GOP adversaries that he views the prospect with equanimity. Whatever tax reform is achieved in 2012 must prove itself better than doing nothing at all. And doing nothing looks to me like a hard-to-beat outcome. Timothy Noah is a senior editor at The New Republic. This article appeared in the May 10, 2012 issue of the magazine.